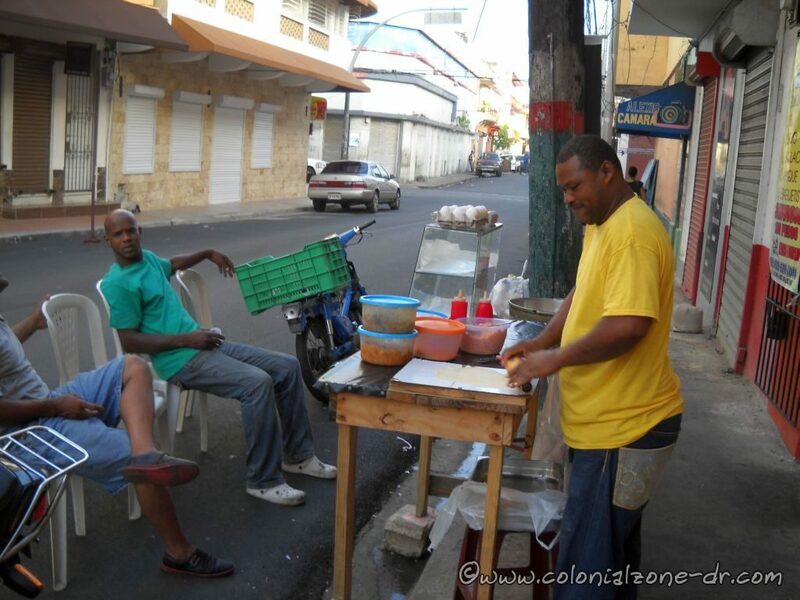 El Yaniquequero (pronounced yon-e-kay-key-ero) and his helper usually have a permanent spot to sell these hot treats and does not walk around much. 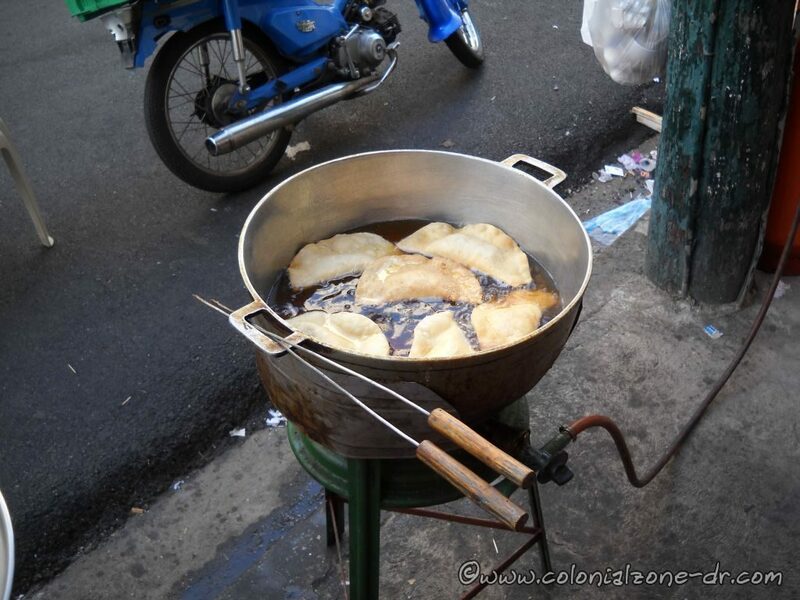 You will see these vendors selling Yaniqueques (Johnnycakes), Empanadas and/or Pastelitos on many street corners. 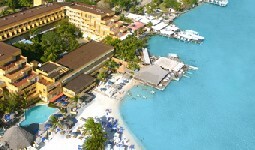 They are usually located in front of places where people gather. The Johnny Cake vendor will have a little table where he rolls out the dough. 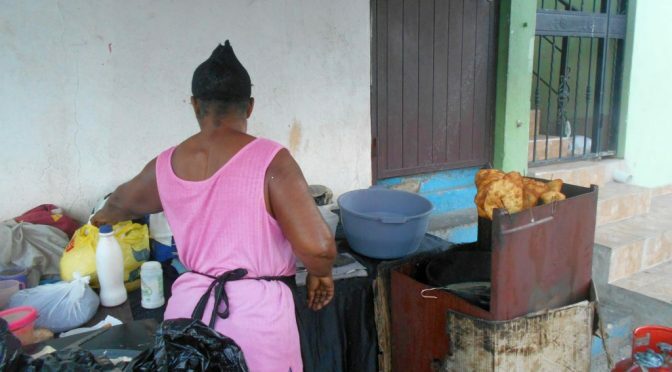 Some only sell the dough which is the original Yaniqueque. Other vendors will have containers on the table holding assorted fillings for filling the little dough pockets. Some of the fillings could include eggs, ham, beef, shrimp, cheese, mixed vegetables or other special items. Beside the table is a pot filled with boiling oil where the dough will be dropped into for frying. Yaniquequero cooking Empanadas con Huevos boiling in the pot. Popular and tasty these fried dough pieces and little stuffed pie type morsels are a must try item for a snack on the go. for the plain piece of dough Yaniqueque are usually around RD$5 pesos. The filled pockets prices may range from around $25 to $50 pesos and sometimes more depending on the filling (as of 11/2017).